It’s been a busy time for classical music, with lots of news — and postings — despite the sudden hot summer. Last week, The Ear heard from sources that the Madison Symphony Orchestra (below) had named Naha Greenholtz as its new concertmaster, beating out current co-concertmaster Suzanne Beia and Isabella Lippi. But an MSO official called to say that it was premature to announce that. But no longer – at least as of an hour ago. Music Director John DeMain and the Madison Symphony Orchestra (MSO) are happy to announce that violinist Naha Greenholtz (below) has been chosen as the MSO’s new concertmaster. The Japanese born, Canadian native emerged successful from the year-long audition process that began when Tyrone Greive (below, in a photo by Katrin Talbot), who had held the position for 25 years, announced his retirement at the end of the 2009-2010 Symphony season. “I’m thrilled that Ms. Greenholtz has accepted a position to be our new concert master,” said DeMain. 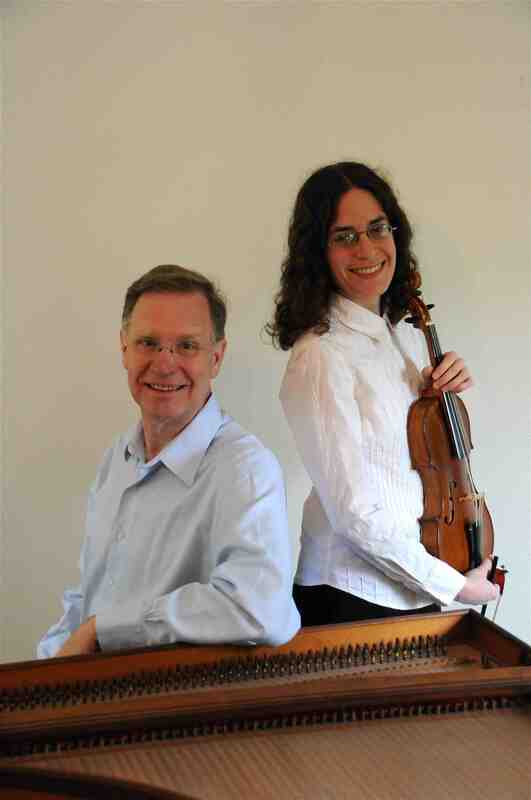 “Her solo playing impressed our committee and me greatly. Her leadership of the orchestra in her two performances was exemplary. Naha will bring the Madison Symphony Orchestra to a still higher level of excellence, building on our already strong reputation,” said DeMain. Canadian violinist Naha Greenholtz was born in Kyoto, Japan. She made her solo debut at 14 playing the Mendelssohn Violin Concerto with the Vancouver Symphony Orchestra, and was quickly reengaged for performances of concerti by Tchaikovsky and Mozart. In addition, she has been a featured soloist with the Burnaby Symphony and the Kelowna Symphony Orchestra in works by Sarasate, Bruch, and Bach. Naha has also had an active career as an orchestral musician, appointed Associate Concertmaster of the Louisiana Philharmonic Orchestra in New Orleans at age 21. One year later, she joined the first violin section of the Milwaukee Symphony Orchestra (below). 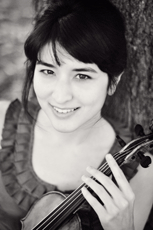 Most recently she has performed with the Cleveland Orchestra both at Severance Hall and on tour in Tokyo and Seoul. She has also performed as guest Concertmaster of the Reno Philharmonic Orchestra. Naha received her BM from the Juilliard School in 2007, where she studied with Joel Smirnoff and Donald Weilerstein. 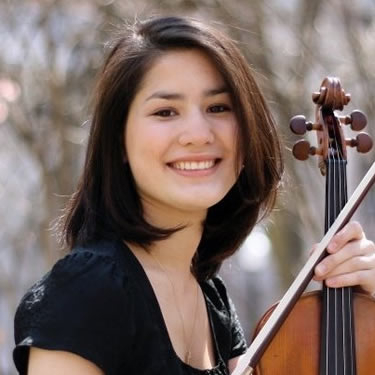 Currently, she is the sole participant in the prestigious Concertmaster Academy at the Cleveland Institute of Music, a mentoring fellowship with William Preucil. “As our concertmaster for the past 20 years, Tyrone Greive presided over a period of unprecedented artistic growth for the Symphony. He fully participated with me in creating the incredible string section we have today, and he can leave with great satisfaction, knowing that he leaves it at its all-time pinnacle of virtuosity. 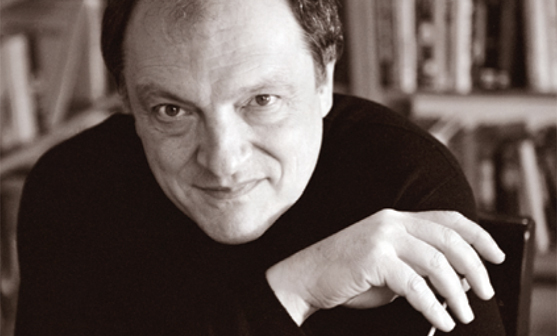 “As we enter this new era, our choice of a new concertmaster is a vital one. 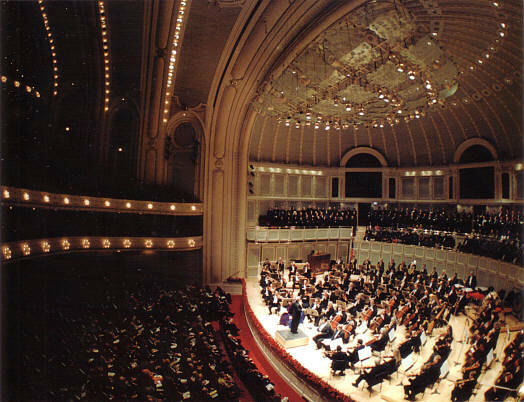 We want to choose someone who will build on Tyrone’s tradition and help the MSO continue to blossom artistically. 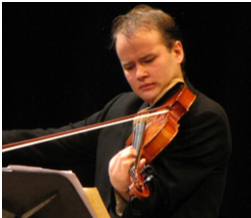 “Of all the principal players, the concertmaster is possibly the most crucial. This person must be a master musician, a superb soloist, an exceptional ensemble player and a leader who understands how to engender a cohesive performance. An enormous amount of unseen work goes into this position. For example, the concertmaster makes initial bowing decisions that will inform the way that all the string sections play their parts. 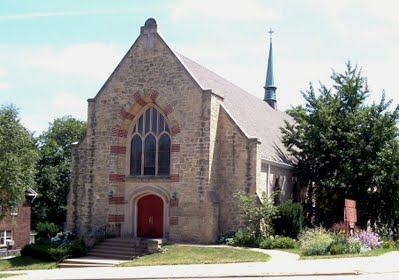 Here is just a quick update to follow through on my post Sunday about the violists who were trained at the University of Wisconsin School of Music and who competed in the 6th William Primrose International Viola Competition that ended Sunday night. First Prize went to Ayane Kozasa. 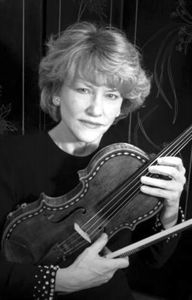 Finally, congratulations to UW professor Sally Chisholm (below), who plays in the Pro Arte String Qaurtet, and who taught the two prize-winners. Comments and messages of good will, anyone? Classical music review: Ensemble SDG explores and excites with unusual Baroque music in Madison. Now it’s on to the Boston Early Music Festival. 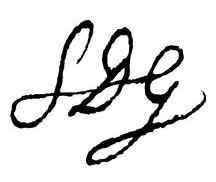 SDG, the name chosen by this ensemble, contains the initials of the Latin motto “Soli Deo gloria” (To the Glory of God Alone), which Bach often wrote at the end of the manuscript of a new composition. 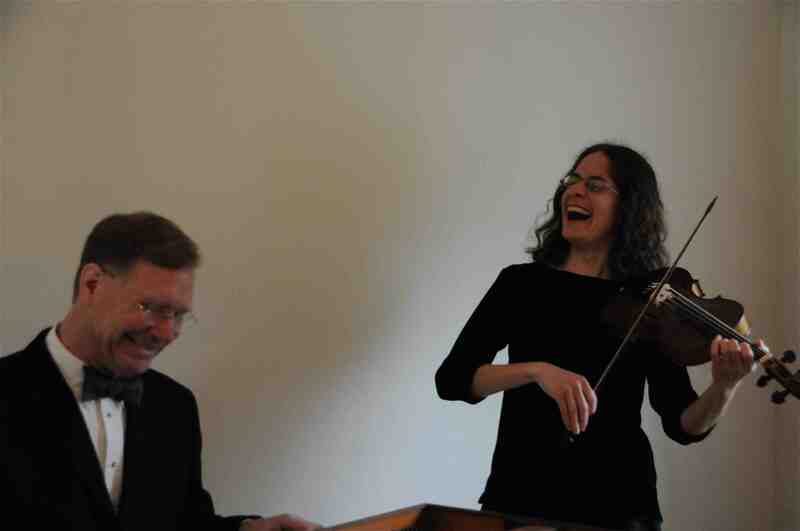 Though SDG occasionally works with a few other performers, and may expand more in that direction, it is essentially a duo (below), consisting of Edith Hines (below right), playing the Baroque violin, and John Chappell (“Chappy”) Stowe of the UW Music School faculty, on harpsichord or organ. They have worked together as this duo for two years now. Exercising sound scholarly reasoning, Stowe played his keyboard parts on the very fine St. Andrew’s organ, which he helped design. The program was intended to show the backgrounds out of which Bach (below) emerged and in which he functioned. 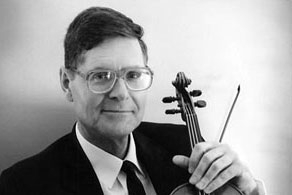 The first half represented, in effect, the background, one of virtuosic violin playing, and of accomplished exploitation of variations techniques. Indeed, the first two pieces particularly showed off the characteristic imagination that was poured into the form of the “passacaglia” or “ciacona,” with its violin elaborations evolved over a recurrent bass figure in the keyboard part. 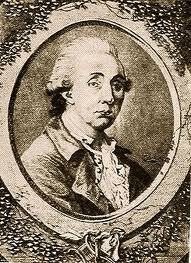 An Adagio and Passacaglia by an anonymous composer, which is preserved in a Viennese manuscript from about 1690, was followed by a spectacular sonata from among six published in 1664 by Johann Heinrich Schmelzer (below). A striking feature of both works, too, was the extensive use of chromatic lines and textures that so particularly preoccupied musicians of the 17th century. And then Stowe alone cut the organ loose in a blazing “Passacaglia in D minor” by Dietrich Buxtehude preserved only because Bach’s brother copied it out. Its ostinato bass figure was curiously close to that used by Bach in his famous organ Passacaglia in the same key. 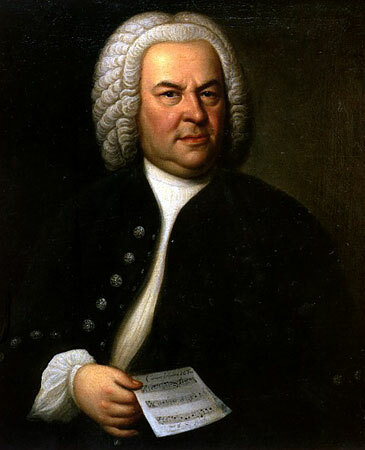 The second half of the program offered two rare and early works by Bach himself. An isolated Fugue in G minor for violin and keyboard, apparently dating from his 20s, demonstrated his contrapuntal command from his youth, in clear linkage with his background. Still more fascinating was one of two versions of his Sonata No. 6 in G major for violin and harpsichord that differ from the familiar, well established and apparently “definitive” one, this so much as to be virtually a different composition. Its middle movement is known to be the composer’s adaptation of an aria from some lost cantata: the soprano line in the keyboard right hand, the violin as the obbligato, and the keyboard left hand for the bass. In talking about this work (as was done before each one), Stowe pointed out that this movement’s texture was much in line with that of Bach’s familiar Trio Sonatas for organ. And, in this work, we had a lesson in observing Bach’s capacity to rethink his music, something he frequently did. This was a brief but fascinating program for the lover of Baroque music and of Baroque music-making. Hines played with perhaps the most dazzling virtuosity I have heard from her. And Stowe, as always, was a paragon of artistry combined with scholarly insights. These two work particularly well with each other. 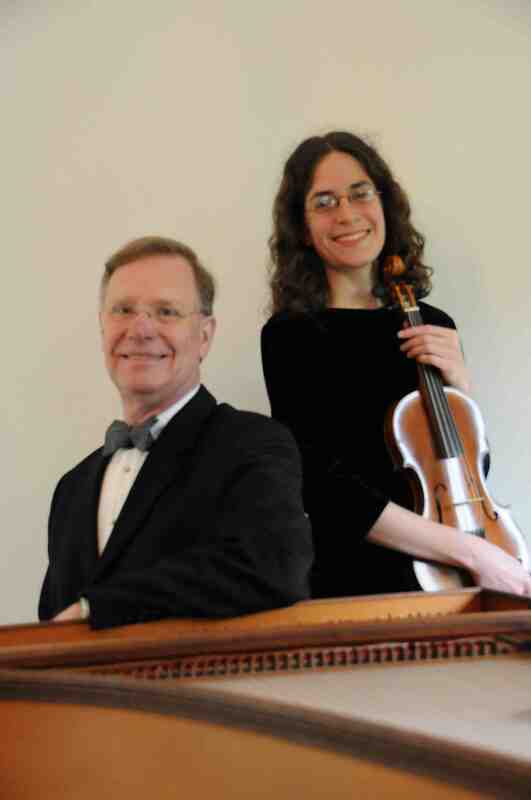 And, as they did two years ago, they will take their latest program to play at the upcoming Boston Early Music Festival. Could any Olympic athletes blaze a Madison trail to international prominence better than these two fine musicians?